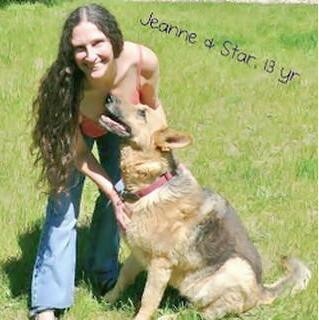 When I was 14 years old, I desperately wanted a dog. I started hinting to my parents about it, and gradually those hints became joking-but-not-joking begs and bribes. It was months before I could persuade them, but they did get on board. Under one condition (that actually had innumerable conditions inside of it): It had to be a “really good dog.” Our primary concerns were the free-range chickens out in the yard and the small animals in the house. If my canine companion were to pose any threat to them, it would go right back to where it came from. Regardless of my desperation, I was in agreement that we couldn’t bring in just any dog. I spent a lot of time researching dog breeds, temperaments, and requirements, and then pitching them to my parents. 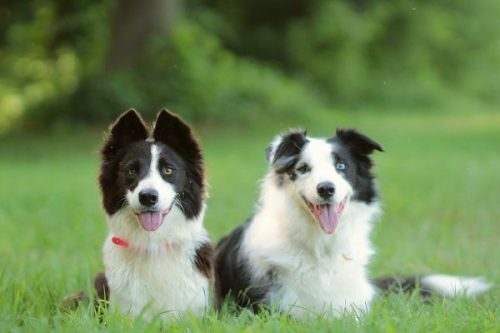 We finally settled on border collies as the best breed for us. And then it was another month or so before I actually located my pup. I wanted to rescue one, but there were no homeless border collies (without behavioral issues that would pose too much of a risk to our other pets at the time) listed anywhere within reasonable driving distance during that month. I expanded my horizons to include breeder listings. 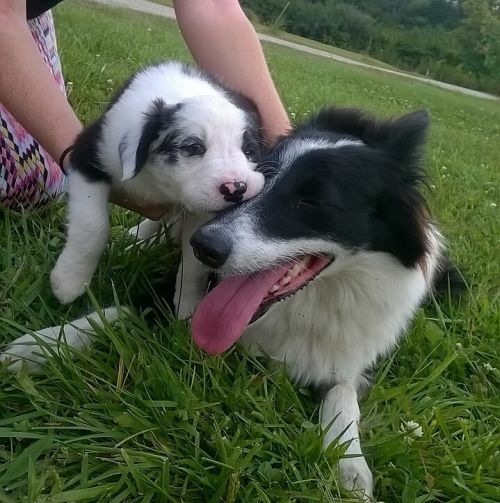 And just days afterward, I found an eBay Classifieds listing for a litter of puppies that was 277 miles away (still a long drive, but I was covering all of the expenses anyway, so my mom didn’t mind). 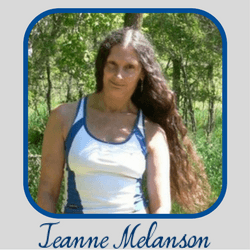 The breeder’s advertisement looked professional, and she included links to her website and Facebook page where I could find more information on her business. I contacted the breeder to put a puppy on hold for me. The litter was only three weeks old at the time. I was quickly responded to with more questions than I was expecting. After a week of back-and-forth emailing, it felt more like applying for a job than trying to buy a dog. But that was a good sign—the breeder wasn’t just trying to get her puppies sold. Her goal was to put them in the right homes. The breeder accepted my inquiry, and then it was just a couple more weeks before I could go and pick up my beautiful blue merle, Iva. IMAGE: Meredith Blake, author. Iva, giving her mom a goodbye kiss the day I took her home. Iva has been the best dog our family has ever had. Before her, we exclusively raised German shepherds, but breaking the tradition was worth it. Iva incredibly intelligent, active, well-behaved, clean, and personable. She leaves the chickens alone, gets along with our cats, is a fantastic copilot in the car, and is the perfect size for our living arrangement. The breeder and I are still in contact to this day, three years later. Just last week, we celebrated Iva’s litters’ third birthday together with a small family reunion for the dogs. IMAGE: Meredith Blake, author. Iva (right) and her sister, Hope celebrating their third birthday with some fun in the park. and maintaining a relationship with the breeder. Getting a purebred puppy, in general, can offer a lot of predictability of how it will grow, how it will behave, and what it will require. But a responsible breeder will socialize and monitor their puppies throughout every day that the puppies are in their care. 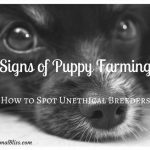 You breeder can offer even more in-depth insight about each puppy, and which one will be the best for your specific situation. The breeder can also inform you about any history of health or behavioral problems in the family. Ideally, the breeder will be very upfront and honest about any issues you can expect. You can also meet the puppy’s parents, interact with them, and get a feel for how your puppy will be when it grows up. You can see how healthy the mom is, which is an indicator of her litter’s health as well. A responsible breeder will have the entire litter visit the vet as many times as necessary before the puppies go to their new homes. 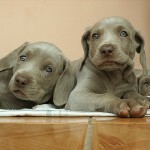 They will schedule a pick-up date for you that ensures the puppy will be socialized and mature enough to leave its mom. They will also have your pup cleaned and free of any illness when you come to pick it up. If for any reason they think the puppy is not ready to go home with you yet, they will let you know why, and work with you on rescheduling. I had such bad puppy-fever, and it worsened with every day that I came nearer to Iva’s pick-up date. I had unrealistic expectations of how perfect she would be. All I talked about with my breeder over email in those days was how excited I was to form a bond with Iva and to play with her every day … very superficial stuff. But my breeder came back with all of the possible negatives, reminding me that border collies are very high-maintenance and that I need to be committed to physically and mentally engaging Iva multiple times a day or else she would develop bad behaviors. She’d tell me that border collies are so intelligent and such workaholics that a lack of stimulation can make them go stir-crazy. She even asked if I wanted to get two puppies so that they could wear each other out (which in hindsight would’ve been a good move). My breeder helped me remember that it wasn’t going to be pure fun all of the time and that sacrifices would have to be made on a daily basis for this breed. If she hadn’t done that, I would’ve quickly become exhausted and disheartened by my decision to get a border collie. One of the initial agreements of the adoption process I went through for Iva was that I was supposed to continue communication with my breeder for as long as I had Iva, which was incredibly valuable. My breeder is always a text away whenever I have questions. She lets me know if she was ever in my area and we could potentially meet up (like we did earlier, pictured above). She has a Facebook page where anyone who adopts from her can connect with each other and share updates on their pups. (This is a somewhat embarrassing example of how her continued guidance has helped us, but it’s worth sharing.) Over this past winter, Iva gained weight, probably from lack of outdoor exercise, as the winter was harsh and I hate the cold. I wasn’t worried enough—she was only “plump” in my eyes. But my breeder saw her weight gain and warned me that it could be hard on Iva’s joints and long-term health. Since then, I’ve controlled Iva’s diet and exercised her more. The weight is coming off, and Iva is happier and healthier. 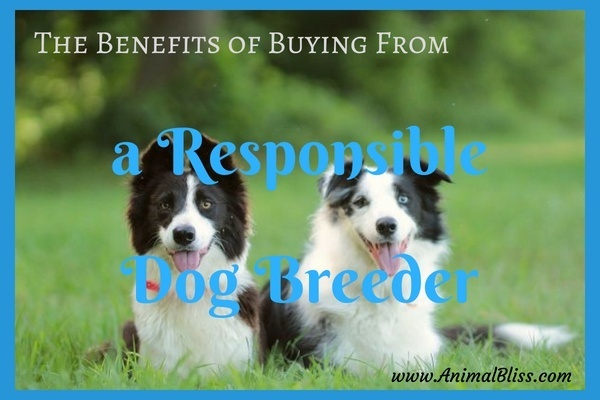 There are plenty of other good reasons to consider buying from a responsible dog breeder. 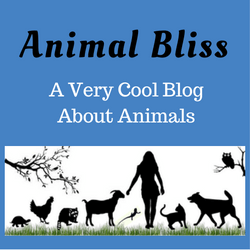 There are plenty of wrong reasons too, such as getting a specific breed as a status symbol or a fashion statement. 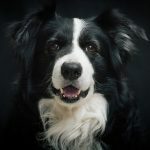 Many dog breeds share common qualities with other breeds, and mixed breeds could also have just what you need from a canine companion. Don’t get too hung up on one breed if your requirements aren’t too specific. 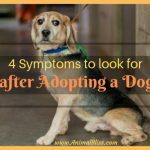 Do plenty of research before buying or adopting. Be open-minded about where your dog comes from. Don’t give business to anyone who only wants your money. Remember that your breeder should be more than happy to help you every step of the way. Take advantage of that. 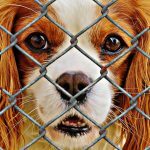 Would you consider buying from a responsible dog breeder?